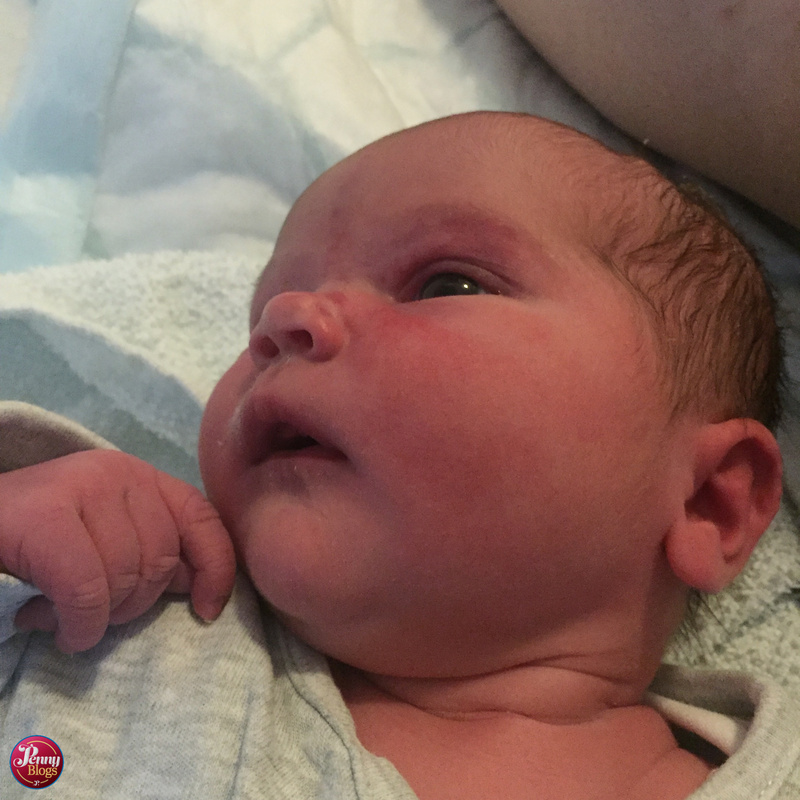 This blogging lark is hard work when you have a newborn in the house. In fact, I’m not even sure I’m allowed to call her a newborn any more. At what age do they stop being a newborn and become just a “baby”? The truth is that my little Tube Stop Baby (as she’s become known online) has been with us for a whole three months now. She’s gone from a curled up little scrap of a thing, to a little baby that is already showing us heaps of cheeky personality and an ability to wind up her big brother by laughing at him when he has a strop. Smart girl. I’ve been a bad blogging mummy though as the story of my pregnancy with her kind of petered out after writing about the final stages of pregnancy. Her actual arrival though was a bit of a rush and it takes me a while to remember all of the things that happened in the 24 hours that we were away from home. 24 hours which took Bonn and I from being a couple to being a family. As I’d mentioned before here, my bump was measuring big so at 40 + 3 I was booked in to hospital to be induced. It was a Wednesday and my other two kids stayed at my house the night before so that morning I was up early to take them both to school, giving them both a huge hug in the playground knowing that by the time I saw them next the would have a little half brother or sister to welcome into the family. It was a strange feeling. The hospital had said that they would phone me by 10am to let me know what time to come in. All through the school run I had one eye on my phone waiting for it to ring. Nothing. Back home we had time for a cuppa and a chat with my mum before my phone finally sprung into life at one minute to ten. Talk about leaving it until the last moment. As I’d suspected the call was to say that the unit was busy. I’d fears about them telling me that I’d have to be delayed until the following day, but instead they told me to get there for 6pm that evening, as by then there would be a bed empty for me. Six o’clock came and B and I rocked up at the hospital where we went up to the allocated ward and were shown to a bay, before being left somewhat to our own devices for a bit. I knew I might be in for a long wait so we were armed with a huge array of books, snack, board games etc and I’d even brought my sewing kit with me so I could finally fix the pocket in B’s coat. A job that I had been putting off for ages for no real reason. Needle threaded I’d taken about two stitches before someone finally turned up and attached me to a monitor so that they could monitor the baby’s heart beat before starting the induction process. Now, back when pregnant this baby used to go nuts every single evening about 7pm. It was a regular thing that I would spend the evening sat on the sofa being exhausted by this child inside of me going into full on party mode summersaulting around my stomach. The things is apparently this isn’t usual the student midwife was a little puzzled to see what was going on. Unfortunately all these acrobatics meant that it was pretty much impossible to get a stable trace of the baby’s heart. At the time we assumed it was all down to how much they were moving about, but the midwives were convinced that it might be something more concerning. There was talk about not being able to induce until they had had a stable trace for at least 30 minutes. No chance of that happening with this baby. Talk then turned to needing a c-section in case the baby had a cord wrapped around his or her neck. I’d had this with Little Miss C, but in that case it hadn’t been spotted until she was delivered. They finally agreed to take me down to the delivery suite so that someone could take a look and see if they could break my waters. There were a few regular tightenings so they hoped that breaking them might help to kick things off naturally. Down we moved to a sauna of a room in the delivery suite. We were literally stripping off as soon as we arrived as it was so hot in there. There was more coming and going of midwives as they assessed what was happening and trying to decide what to do. 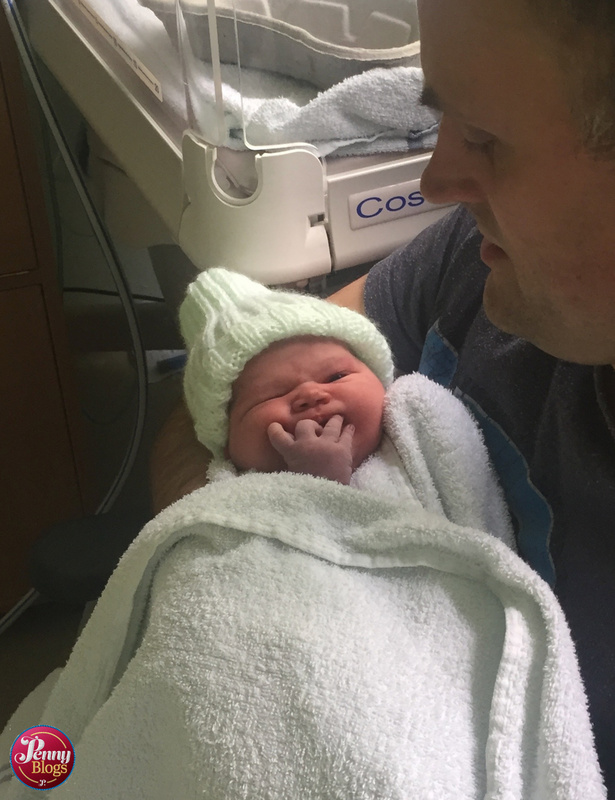 One consultant seemed to think that a natural birth might be possible, but she was unsure. Still it was impossible to get a perfectly stable trace of baby’s heart. I forget exactly why or when, but they did finally move us to a room that felt a normal temperature rather than being tropical and just before midnight a midwife did manage to break my waters. A consultant had by this stage agreed that a natural birth should be possible, but he wanted a very close eye keeping on things just in case baby’s heartbeat trace got any stranger than it already was. As the night went on they started me off on a drip to try to bring on labour, but instead it just made baby’s heartbeat drop more so they stopped again until it came back up. Again the consultant came in and stretched his head a few times about what was going on. There was further talk about c-sections and the cord possibly being either trapped or wrapped round the baby’s neck in some way. At this stage I was convinced that it was how this particular birth was going to pan out and my head was starting to fill with all the logistical challenges of performing a 30 mile round trip school run when you can’t drive for 6 weeks. The midwife herself was getting a little annoyed at the lack of progress and seemed convinced that natural labour would be possible and after lots of studying baby;’s heart trace it was finally agreed that we could try the drop one last time. Only a half measure though and at the first sign of anything even slightly irregular with baby’s heart it was to be stopped immediately. The consultant finally agreed and when the overnight midwife went off shift at 8am she was literally just waiting for one signature before I could be started on it again. Our new midwife was a breath of fresh air after a long night and hear lovely bubbly style when she introduced herself to both of us (midwives please do remember to say at least hello to a woman’s birthing partner or the baby’s Dad – it’s not only polite, but also helps everyone feel a bit more confident about things) she said that she was determined that we’d have a baby in our arms by lunchtime. After such a long night of nothing really happening I laughed this off and she agreed that it night be a bit of a stretch target. Instead we agreed that by the end of her shift might be more realistic. I figured that within 12 hours that would at least have taken me into theatre to make things happen with surgery if everything else failed. Around 9am all the paperwork was in place and a new drip was started. We chatted away for a while with me just hoping that the 2cm dilation (that was possibly just a hangover from previous births!) would finally increase. 10 o’clock came and went and I noticed that the tightenings were becoming a little tighter, but still nothing to write home about. I’d been allowed the gas and air for a while, and it was definitely helping with things. In my exhausted state I knew that things weren’t going to get any easier though. The midwife and I talked about additional pain relief and I decided that I would indeed like an epidural. The midwife agreed, but noted that I would need to be examined again. Something that they wouldn’t normally do until 1pm, four hours after the drip was started. There was no rush, but she agreed to examine me again. By this point it was about half past ten. A bit more faffing about various things and she then finally got round to examining me at about quarter to 11. I then lost twenty minutes of my life in a complete blur. Her examination revealed that I was about 6cm. Huge progress. Then baby’s heartbeat did something worrying and the emergency button was pressed. The next thing I knew the room was filled with additional voices and someone was, quite forcefully, telling me that that I needed to be examined again. I remember someone saying that I was then 8cm. Then it suddenly became 10cm. A voice asked if I was ready to push. I wasn’t. I was still hoping for an epidural at this point! I realised that I’d shut my eyes at some point in the previous five minutes. I opened them to find four or five women that I’d never seen before peering between my legs. One of those women became incredibly stroppy with me. Or maybe the technical term for it is forceful. Whatever it is I’m mighty glad she did! 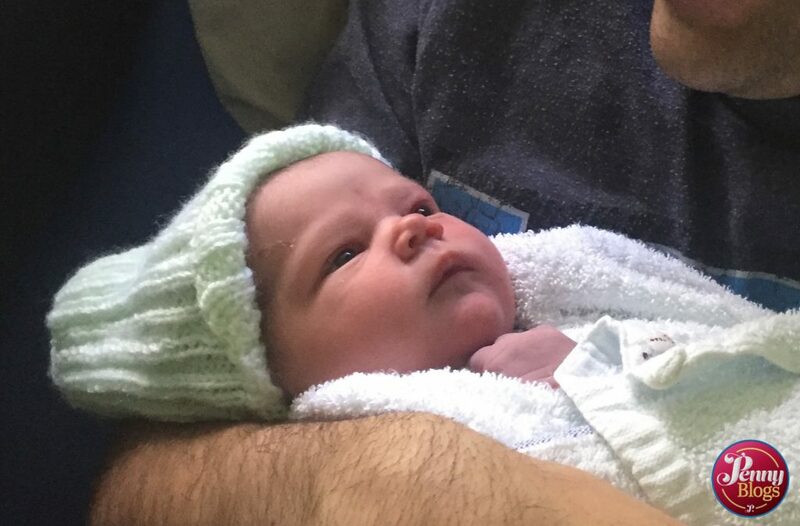 By 11.06am my gorgeous second daughter came into the world and was placed up on my chest where I was in a complete state of shock, and totally in love. Active labour lasted a grand total of 17 minutes. Those midwives the night before had been spot on. The cord was wrapped around her neck. Twice. Our midwife gave me a huge smile, congratulated us and very smugly said “I told you we’d have a baby here before lunchtime”. Tears running down my face I thanked the stroppy woman for being stroppy, and thanked our midwife and the rest of the team for being the amazing medical professionals that they were. Quite where they had all run from when the midwife pushed the emergency button I have no idea, but they sprang into action and brought our gorgeous daughter safely into the world. Something that I will forever be grateful for. By 6pm that night, just 24 hours after arriving at the hospital we were back home. Discharged just 6 hours after birth with just a tiny scratch and no stitches. 24 hours which had taken us from being a couple to a new family. 24 of the most magical hours of my life.